Millencolin is a band that is hard to come by. Living in the US all my life, there were limited opportunities to see the Swedish band in the states save for the occasional Warped Tour or American tour every few years. So I was really excited to be able to catch Millencolin on tour in London on February 12th at the Electric Ballroom. For Millencolin, it had been 8 years since they last played in London. The band is currently on a short European tour this month, followed by a trip to Australia and two dates in the US, including a Seattle show with MxPx (my high-school days relived!) Full tour dates and tickets available here. 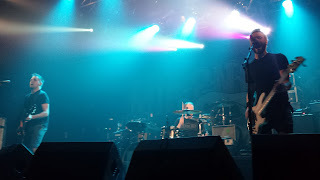 The current European tour is supported by Templeton Pek, a three-piece punk rock band consisting of lead singer and bassist, Neil Mitchell, vocals and guitar by Kev Greene, and drummer Simon Barford . The band hails from Birmingham, which I got the impression was to London, like New Jersey is to New York. They played several songs off their latest album, New Horizons, which was recorded in California, recognizing punk rock's roots with the likes of Pennywise, The Descendants and countless other punk bands having formed in the skate parks and streets of Hermosa Beach. Their fast-paced set was energetic and melodic, hard enough for the most seasoned punk rockers with sweeping choruses to get the crowd going. It has been a long time since I have seen Millencolin in concert, and seeing them now offered a fresh perspective to the band that played a formidable role in my adolescence. It's always a bit of a toss up seeing a band from when you were younger. There is a hodgepodge of emotions that tend to arise: of course happiness and excitement to see an old friend again, but also nostalgia and sadness at the reality that you are older, the band is older, and there is more to life than getting your kicks at a punk rock show. So when Millencolin came on stage, I was admittedly a little relieved to see that not too much had changed. 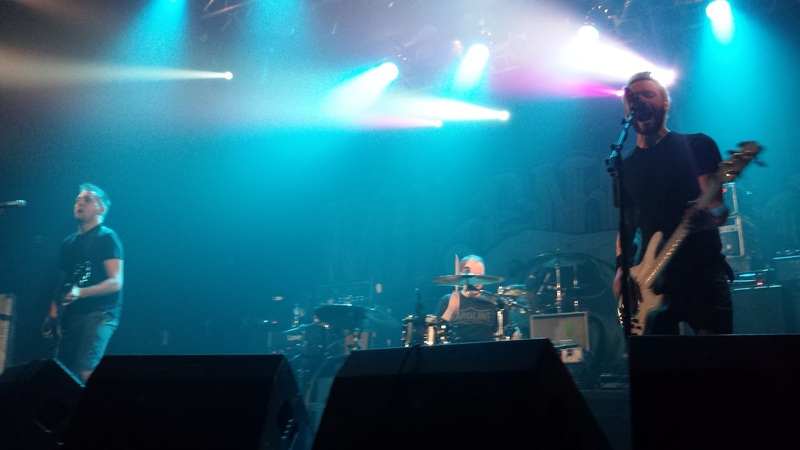 Millencolin is somewhat unique among bands, in that they have kept the same line up for most of their existence. Lead singer Nikola Sarcevic looked pretty much the same, albeit with less hair. They still brought to the stage the same energy and spirit that they did in their younger days. I am not surprised that Sweden is home to some of the happiest people in the world, because I found each of the band members to be friendly, polite and at times, downright lovable. Perhaps it was the Swedish accent that made everything sound a bit goofy. Their latest album, True Brew, was released in April 2015, and they played a few songs from it, including the title track. But what was nice was that unlike some other "seasoned" punk bands, they showed genuine enthusiasm for playing old songs, even going back to songs off their first album, Tiny Tunes and their seminal album, Life on a Plate. They started their set with "Twenty Two" off of For Monkeys and later "Lozin' Must". The circle pit started spinning for old favorites like "Mr. Clean", "Dance Craze" and "Bullion". I went wild for "Fox", "Duckpond" and "Penguins and Polarbears" off my favorite album, Pennybridge Pioneers. It was like I was 14 years old again, jacked up on Mountain Dew and Pop Tarts, bouncing up and down at the edge of the barrier at the old Graceland in Seattle. While we waited for the encore, what sounded like Frankenstein behind me was shouting "no see gah, no see gah". After decoding the drunken British accent in my head I realized he was calling for "No Cigar", arguably one of their most successful singles. I wanted to shout back, "No, don't play it!" because if they did, it would signal the end of the unforgettable concert. In the end, their 75-minute set went by much too quickly. Unlike shows in the states, the concert started early (7pm) and ended early (9:15pm), and there was only one opening band. While I appreciated the English efficiency, I was left wanting more Millencolin, more music, more of that electric energy that brings together people of all ages, nationalities and backgrounds for the pursuit of pure happiness, if only for one night.